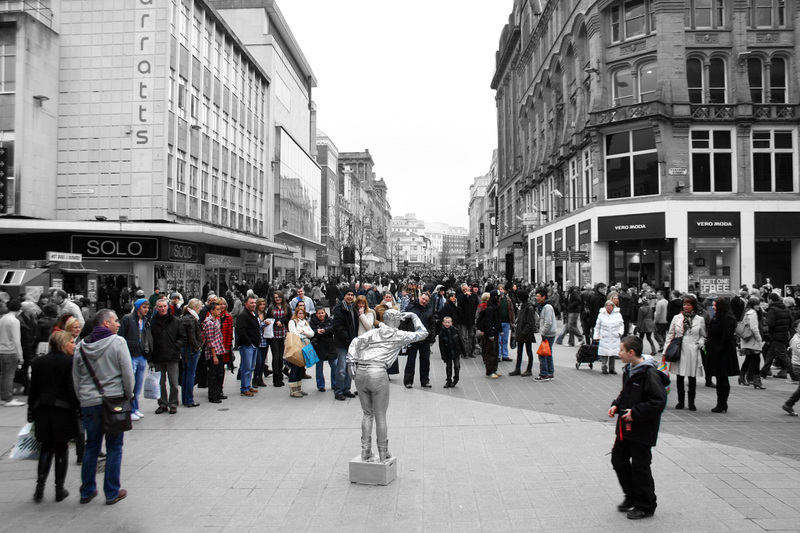 Painted resin statue, crowds (Liverpool, Birmingham, Bristol, London). Funded by Arts Council England, Awards for All. 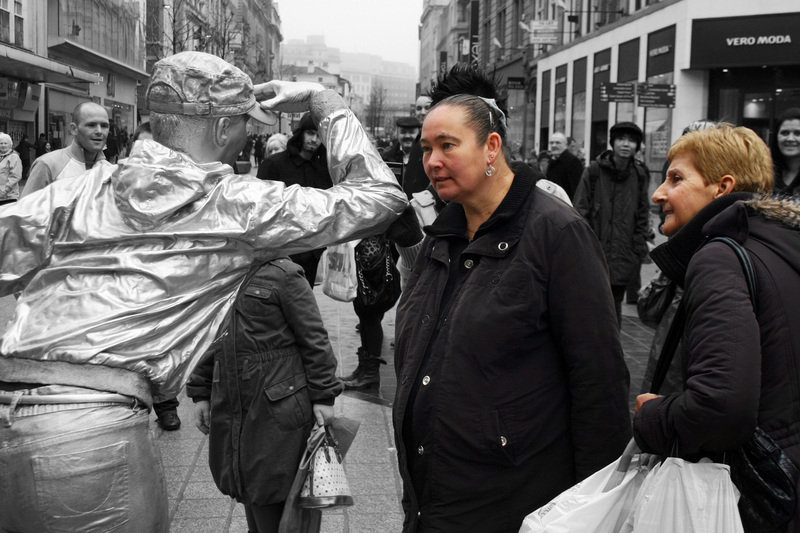 The miraculous object attracts the curious crowds, stopped in their trajectory to share a moment of stillness togetherness. The waiting ritual, broken by a shouting “boo!”, a sharp clap of hands, a penny deposited by the statue’s feet, a debating whisper with a touching-shoulder-strangers, builds tension within the crowd. 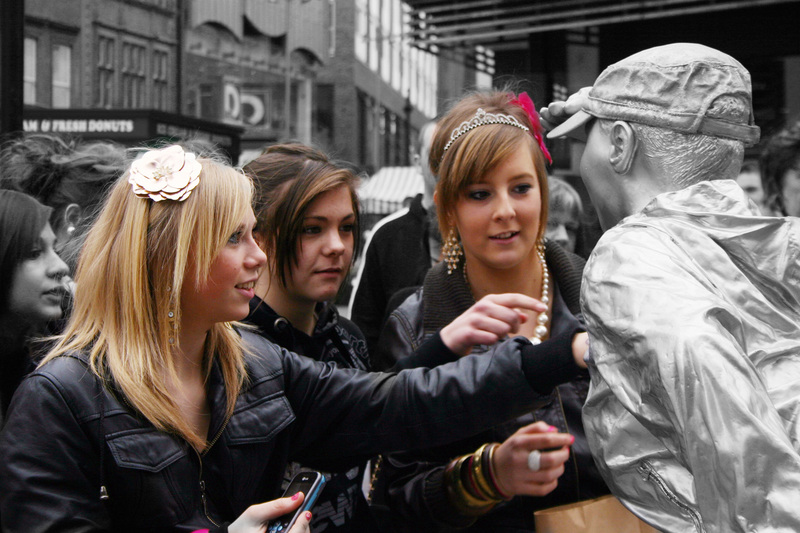 Will a brave passer-by touch her silver hand and reveal the truth? 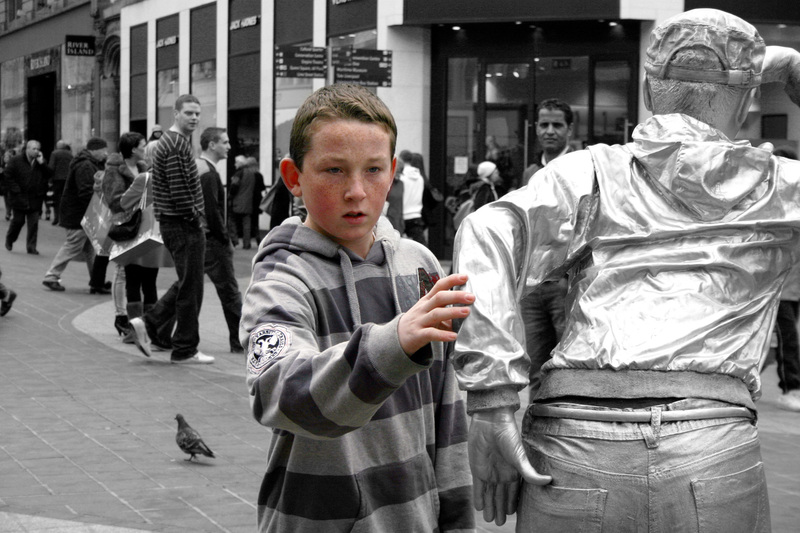 “It is so fake!”, expresses a little boy touching the performer’s hard eyes. Audience laughter follows, embarrassingly laughing at themselves, as their role abruptly shifts from audience to performers, acting together their pre-determined roles of passive observers – and they disappear again in the flow of the crowd. I Thought It Was Real was made from a cast of the artist’ own body. It’s a performance she never actually performed. When creating this work, Laurence Payot was fascinated by the idea of giving an object the power to make people behave in unexpected ways. For her, the artwork is the performing audience rather than the statue.